Our Virtual Learning Environment (VLE) gives learners the ultimate flexibility with their studies allowing courses to be accessed through any web browser or using our mobile and tablet apps. Learners really can study anywhere at any time. 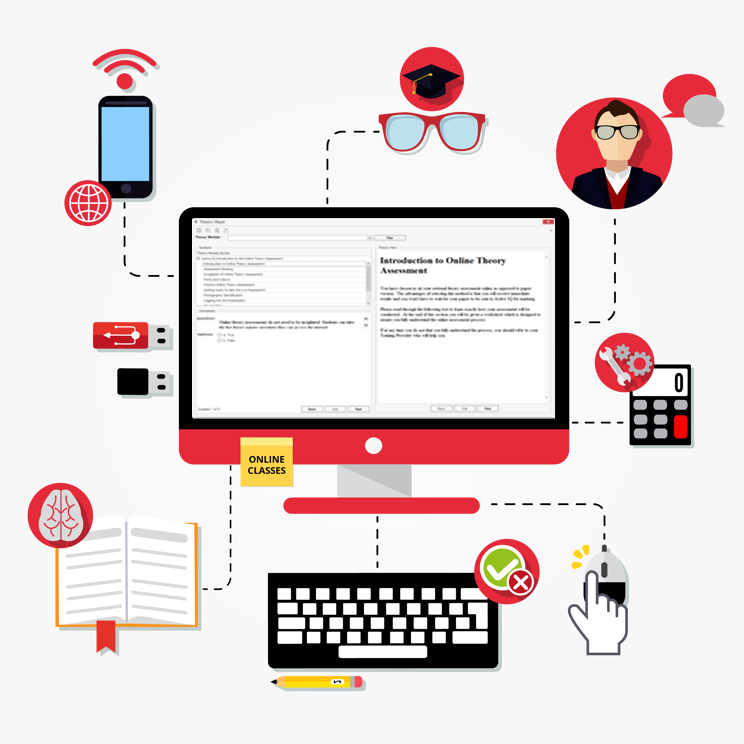 Learners are easily able to manage all aspects of their study including completing online theory content, booking and managing training and assessment days, requesting and viewing certificates as well as have direct contact with your support team. Progress bar showing exactly how much of a course is completed and how much is left to do. Download course material in Adobe PDF format to print and read when offline. 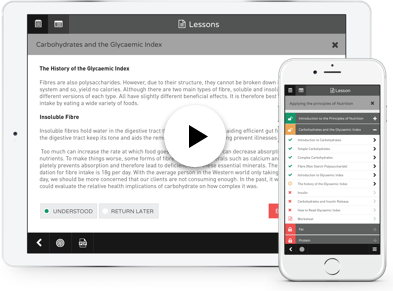 Download course media including audio and video so they may be listened to when offline. Integration with iTunes allowing course media to be delivered via the iTunes Podcast tab. AI style guidance through course content so learner know exactly what they need to do next. Manage all your assessment, training day and eClass bookings. Contact the Learner Support Team directly.